There’s something about New Orleans that brings out another side of people–one a little wilder, a little looser. In the case of this solo debut from Clap Your Hands Say Yeah frontman Alec Ounsworth, the influence of that atmosphere sets the album apart from his roots with CYHSY (and, more recently, indie rock supergroup Flashy Python), achieving the necessary differentiation often missed by many first efforts to go it alone. The album, recorded at New Orlean’s famous Piety Street recording studio, is a study in frenetics, in both tone and consistency. The album jumps around structurally, from the feverish chord stabs and somewhat panicked vocal melodies of opener “Modern Girl (…With Scissors)” to the lucid groove of closer “When You’ve No Eyes,” as well as geographically; on “Holy, Holy, Holy Moses (Song for New Orleans),” one of the album’s more tender moments, Ounsworth sings the praises of the album’s birthplace, while on “South Philadelphia (Drug Days)” he sings of his own. 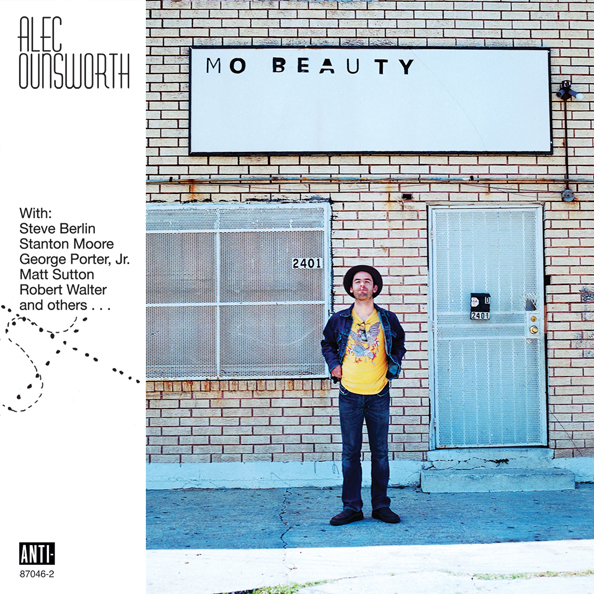 Lyrically one of Ounsworth’s best works, Mo Beauty is one of his most instrumentally interesting, as well. And rightfully so–the almost symphonic “That is Not My Home (After Bruegel)” (as well as the rest of the album) showcases the talent of Ounsworth’s borrowed band of famed New Orleans session musicians, including drummer Stanton Moore and bassist George Porter, Jr. While by no means a New Orleans tribute album–there’s more talk of love than levees–the spirit is certainly there, and that spirit makes the album deserving of the sentiment expressed in its title.